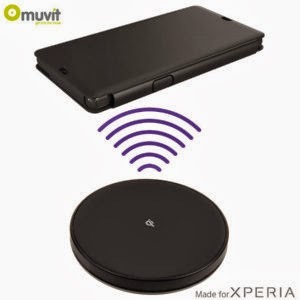 TECHNOLOGY: Sony Smartphone Wireless Charging ! Yes, it's futuristic, but that ponderous trickle of energy from base station to device isn't great for impatient types. Sony, however, thinks that it's solved the problem of slow wireless charging with its latest invention. While wireless charging has been around for a while now, it has yet to take off in any major way. Sony, however, might just change that. The company is working on a new device that uses twice the electricity of previous devices, allowing it to charge in just an hour, as Nikkei reports. More, the new charging tech will be Qi standards-compliant, meaning that not only will it be quick, but it will also be wireless. While so much power would normally cause your smartphone to overheat and combust, chip and power company Rohm promises that its new control chips can handle the temperature issues. Unfortunately, we won't be seeing this hardware turn up in Xperia phones until the second half of 2014, but at least that means we've got some time to recycle all of our cables. While wireless charging has been around for a while now, it has yet to take off in any major way. Sony, however, might just change that.